About 3 months back, POPULAR Book Store interviewed me for my 'Got Kids, Go Where?' 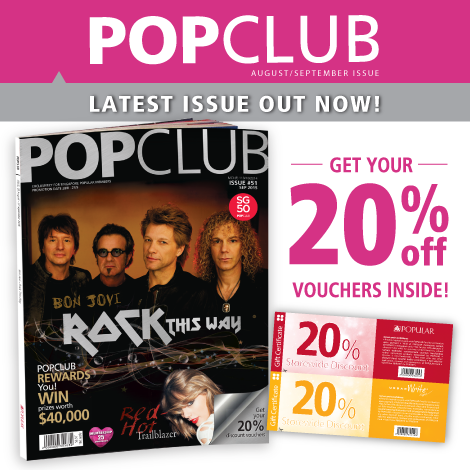 book and it has since been published in the September 2015 issue of POPCLUB magazine! "Coming back to office from my holiday, I saw this pocket-size guidebook sitting neatly on my desk. Got Kids, Go Where?... hmm... but I don't have kids, so what now? Should I give it a go or a miss? Picking up the book, I realised it was pretty hefty for its size. On the back cover, Kelvin shouts, "Singapore is a gigantic playzone for kids." Really? How can it be? The Singapore I know is one tiny sunny island with lots of shopping and gourmet food. If that's what you think so too, this book will prove you wrong. I was flabbergasted flipping through the pages. Each page is chock full of information on where to play, eat and shop, when to go, what to do, and how to enjoy the different destinations better. Kelvin Ang, author of Got Kids, Go Where? tells us more about the book. How long did you take to produce the book? It took me five months to do my research, visit the places, take photos and document them, and another three months for my publisher to work on it. It was challenging, but very enjoyable, especially when our whole family was visiting different places almost every weekend. There are 500 places and activities listed in the book, and I tried my best to involve all my three kids. Would you consider this book a gift to your kids? It's actually a gift for all parents in Singapore. A lot of my friends complained that Singapore is too boring, there's nothing much to do except shopping and move-going. With this book, parents now have a reference when it comes to planning for an outing with their kids. There are 50 chapters altogether, each has ten different listings. I personally like two of the chapters - 'Unusual Places to Bring Kids' (page 290) and 'Free Things To Do' (page 296). Among the listings under these two chapters, our favourite has to be the Sembawang Hot Spring and Kinetic Garden. What's the biggest message for your readers? I believe kids learn best through experiential learning. When they engage in play, they can learn and pick up knowledge that the textbooks can't teach. That's why no matter how busy I am, I insist on bringing my kids out every weekend. How much do you know about Singapore? I bet most of us don;t know this island as well as Kelvin. So the next time you think Singapore is a boring place for kids, think again." Many thanks to Yvonne Lee of POPCLUB Magazine for the interview!